Myself and another member of the College of Science IT web team met with people in the Department of Biological Sciences to discuss a website redesign. The group consisted of the department head, the assistant department head, administrative assistants, undergraduate advisors, a graphics designer and the IT department specialist. I researched analytics data for the 2014-2015 academic year, as well as the first half of 2016, so that the group could make informed decisions based on their users. The content needed to be updated. I suggested starting with a content audit, and told the group how to accomplish this. 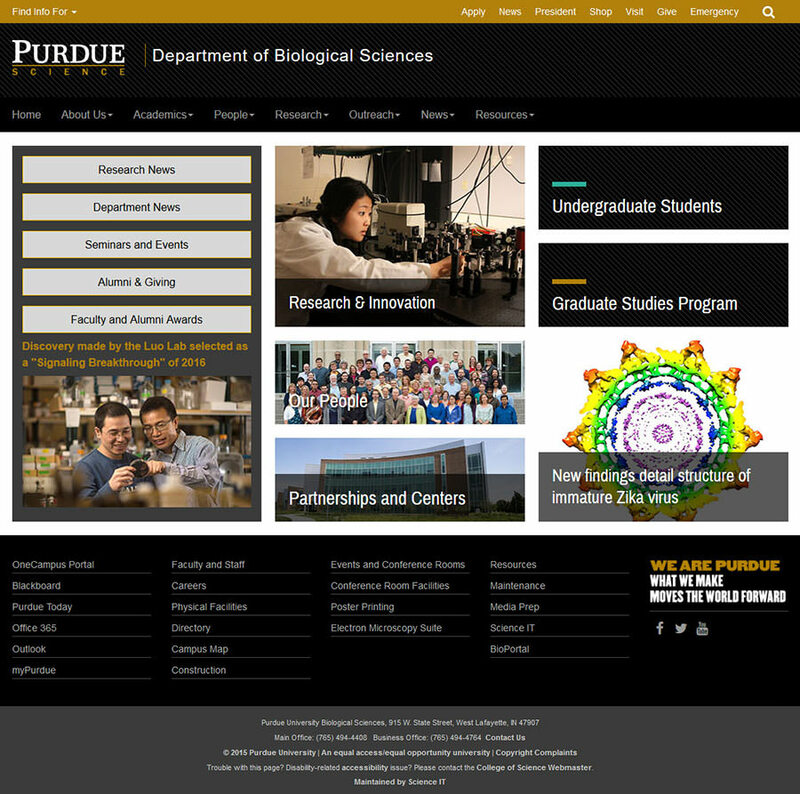 These pages needed specific redesigns: the homepage, the main research page, the six research area pages, the main undergraduate page, and the graduate pages. 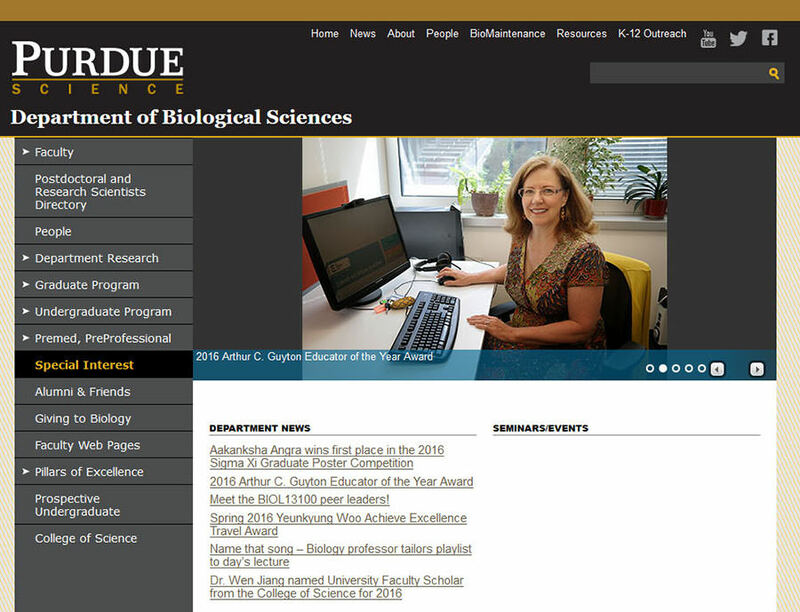 I worked with with the group to make sure that the new pages fit their needs while working within Purdue's branding guidelines. The news section needed to be imported from Wordpress into Cascade, the content management system. We also needed to create new pages for department and research news. Once we got approval on various sections, the web and database team began converting the website into the new design. It took several months, as we had to work with the group on updating their content and redesigning the pages listed above. One person built the People section, another built the news and research area pages, and I built the rest of the site. My student assistant also checked pages for broken links and bad code. The new website is now responsive, with improvements in design, information architecture, search engine optimization and usability.